The evening will begin with a selection of cheeses and wine. This will be followed by an informative talk by a guest speaker. Following the talk, weather permitting, you will have the opportunity to try and spot some fast moving meteors with the naked eye and look through the telescopes at other interesting celestial objects. The Perseids meteor shower occurs as Earth passes through the outskirts of a cloud of debris from comet Swift-Tuttle. The dust and bits of rock left behind are called meteors. As they enter the Earth's atmosphere they 'burn' up with the larger pieces producing bright streams that you can see with the naked eye before they fade away. These bright streams are also known as shooting stars and can be seen from 23rd July until 20th August. The maximum is in the wee small hours of the 13th August when you may see approximately 60-80 shooting stars per hour. The evening aims to be both informal and informative. If the weather is unsuitable on themed evenings, the talk will go ahead regardless and a comprehensive tour of the telescopes will replace viewing. On the tour you will be taken into domes not open to the public during the day. 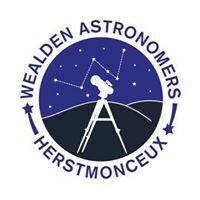 Alongside the staff are members of Wealden Astronomical Society (WAS) and other volunteers who are also there to help answer any questions you may have. Again, weather permitting, the smaller telescopes of the amateur astronomers will be on the lawns for you to look through. Numbers are limited to 100, so book early to secure your place.